There’s something to be said about sitting down with a fresh piece of paper with black-and-white outlines, a full repertoire of colors at hand, and doodling away. Comforting, relaxing, whatever you want to call it, it’s very fun and so many people enjoy it…So, I’m going to but a few folks on my Christmas list some coloring books and colored pencils. 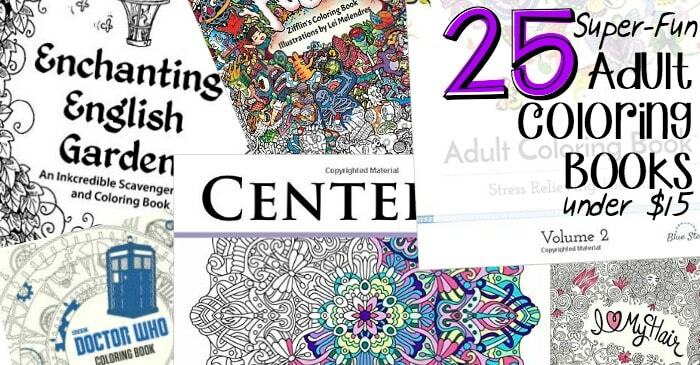 Any one of these 25 Super-Fun Adult Coloring Books Under $15 will work–now the choice is: who to give which nerdy-book? Heh. Use the arrows to click through and see all of these awesomely fun (and a little nerdy) adult coloring books. Be sure to check them all out–because they are all so very fun and would make the perfect gift for anyone on your holiday list.